The Tsum Valley Trek with Incredible Himalayan Sherpa Adventures allows you to explore a newly opened trail in the northern Gorkha district. The valley is surrounded by Baudha Himal and Himal Chuli to the West, Ganesha Himal to the South and Sringi Himal to the North. Thanks to these nearby impressive mountain ranges, the villages in the valley were able to preserve their traditions and minimize external influence on their culture. 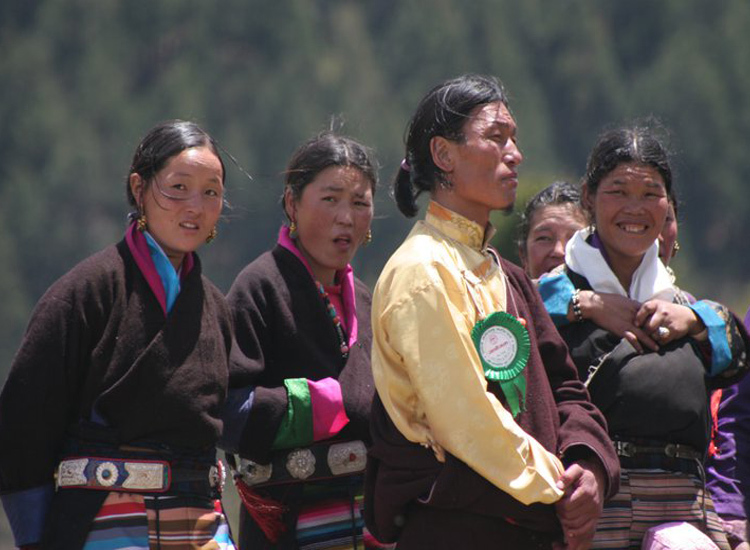 This makes it a great destination for trekkers looking for authentic cultural experiences. The famous Kyimo Lung, a pilgrim's circuit in the central Trans-Himalaya is well known for its centers of learning and meditation. The region derives its importance within the Buddhist community from the believe that the saint Milarepa has meditated in the caves of the surrounding mountains. Well sheltered from other areas, the region has an interesting history distinct from other parts of Nepal and the ancient remains of the Tsum Kingdom are still visible today. 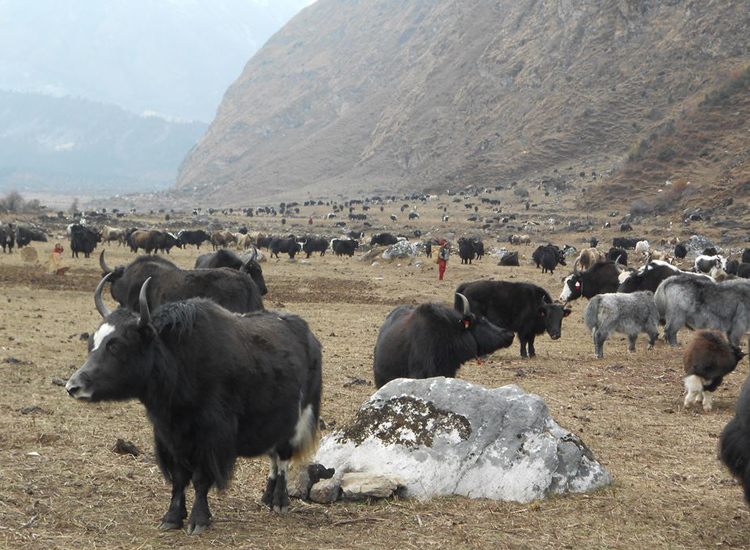 Apart from the cultural aspects, the valley is also rich in wildlife, especially the Himalayan Thar and Blue Sheep which congregate in herds of 50 to 200. 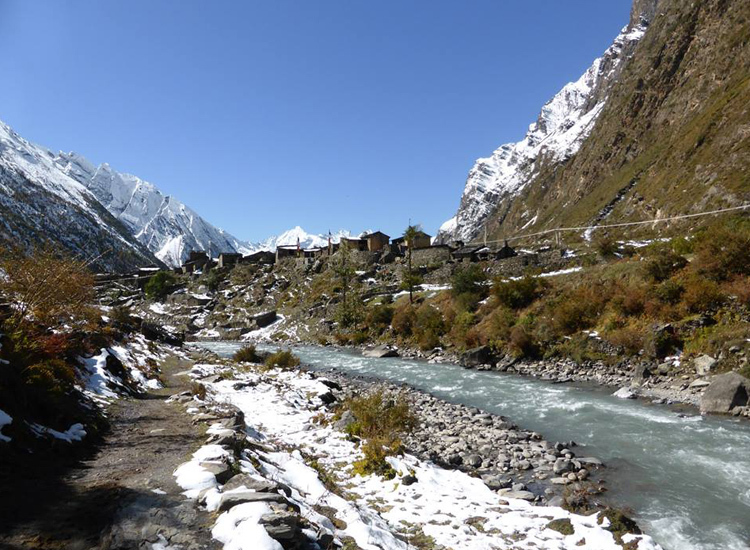 The Tsum Valley Trekking is of particular interest for those who want to venture off the main tourist routes. At Incredible Himalayan Sherpa Adventures, we’d love to introduce you to this remarkable region and create your unique adventure. We organize the logistics of the trip, as well as the required special permit. You can relax and simply enjoy the trek. Himalayan trek commences with scenic drive to reach Soti Khola following the Prithivi highway that lead to Pokhara till Dhading, after turn off the road and take the road which is decreasing in width and comfort. We will enjoy the beautiful sight of typical Nepalese houses, Buri Gandaki River, valleys and so on. By leaving the main settlement like Arughat, Arkhet Bazar and Khyorpani, finally we reach to Soti Khola. Buri Gandaki to reach Machha Khola (870m), 7-8hr walk The initial day of the Manaslu Circuit trek begin with gentle walk through the mule track, after climb on perilous steps blasted into a cliff face before dropping down to Lyabrubesi. 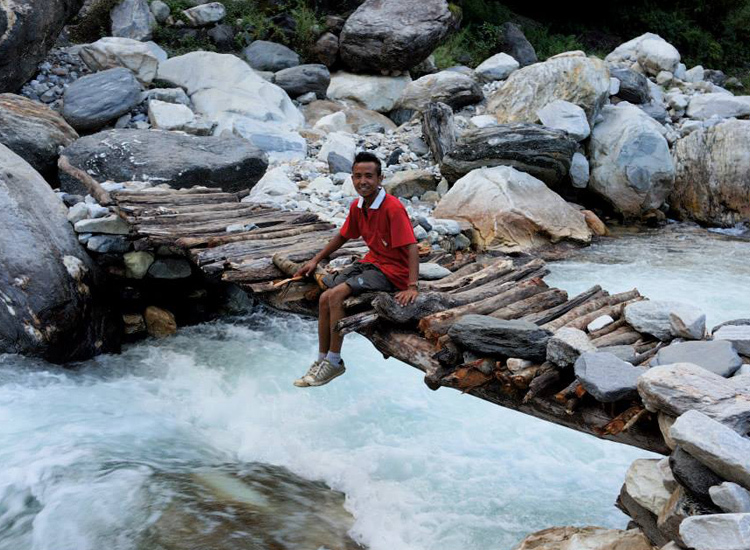 We continue our trek to Nauli Khola and cross the suspension bridge. From there we follow the Buri Gandaki and reach at Machha Khola. Gateway to MCA at Jagat (1410m), 6-8hr walk We follow the original route which goes through the river to Khorlabesi and the warm spring at Tatopani. From here we follow the route lead from eastern bank of Buri Gandaki to Doban, Thulo Dunga and Yara Bagar. The trail lead back and forth across the river and reach a suspension bridge. Finally enter the gateway to the Manaslu Conservation Area at Jagat. Trek begin with descend to Dudh Pokhari Khola and then pass through Salleri, Sridibas and Philim. After 2hr of walk before we reach to the suspension bridge on Budhi Gandaki, the trail separate from the Manaslu Circuit trek. We follow the trail that lead to steady uphill of pines and finally reach to Lokpa. Walk start with descend to the forest to the Sordi Khola. Following the often exposed route which lead us to the point that brings us to the steep and relentless climb upwards in the dense forest. No sooner as we reach on the summit then the path descends steeply further to the bridge across the Siyar Khola. Finally, we climb up to reach the Chumling. Initial walk begins through the lush forest to Tanju. Further an hour of walk brings us to Domje and the route cross the suspension bridge over the Sarphu Khola. Trek offer us spectacular views of glacier-draped peaks of Ganesh II (7118m), Ganesh IV (7052m), and the rocky face of Ganesh I (7429m). We continue on steep climb to Gho, passes some big Chorten and finally reach at Chhokang Paro. The route ease from here as we are entering to Upper Tsum Valley. when Journey take us through the maze of Chortens which leads the trail to Kaye & then to the long ancient Mani wall. On the way, we pass Chi Phu monastery (one of the oldest in the region), Phurbe village, Pangdun, Chhule stupa and Gonhgye Monastery. Our trail goes through three-tiered kani gate & descend to Chhule. After crossing the Siyar Khola, we reach at Nile. 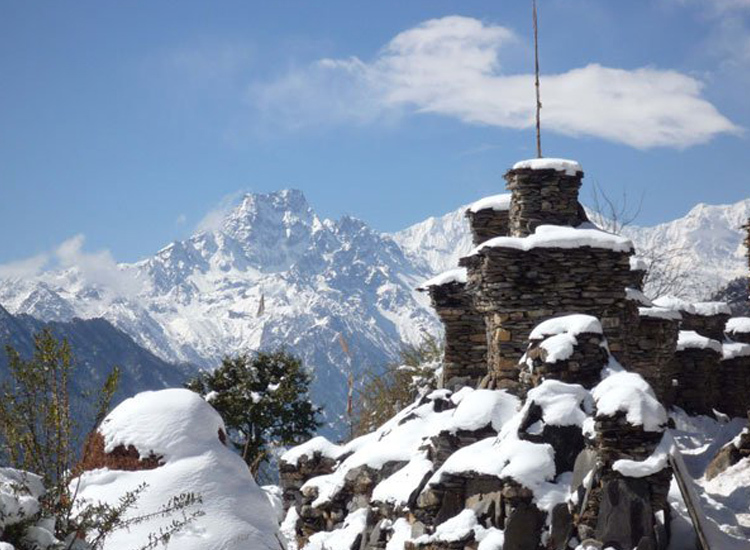 We have dramatic landscape view with short breathless climb up trek. We across the river from Nile and climb gently through the pastures. The trek offers us enticing view of Ganesh II to the south. Following the trail lead to the stiffer climb which lead to the wooden bridge over the side stream and final steep path lead to the Mu Gompa. Trek begin with ascend to the left side trail which later follow almost level all the way to Ranchen Gompa. The whole trail lead to a gentle walk. We retrace our steps Chumling. We visit Jhong Gompa and follow narrow path via Domje and Ticso Tsechen Chholing Gompa etc. Further shot gentle walk bring us to Chumling. We will cross the Sardi Khola Gorge Bridge and skip back to Lokpa to have some tea. From here, we follow the route down to cross the Budhi Gandaki Bridge and pass the Deng on a way to reach Philim. From here we visit to Lungdang Gompa, highlight for retreat centre. And hike to Ganesh Himal base camp (4000m), incredible view point centre of Ganesh Himal and Shrigi Himal. Finally retrace our steps to Soti Khola route and drive to Kathmandu.